Still in its founding stages, the China-led regional bank is said to rival the World Bank, the IMF and the Asian Development Bank. 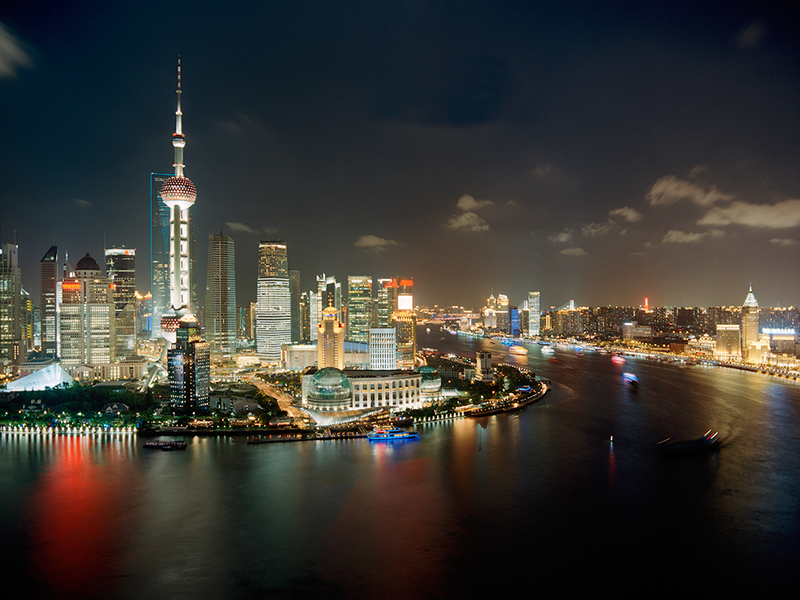 The AIIB aims to finance infrastructure projects across the region via access to loans and equity investments. 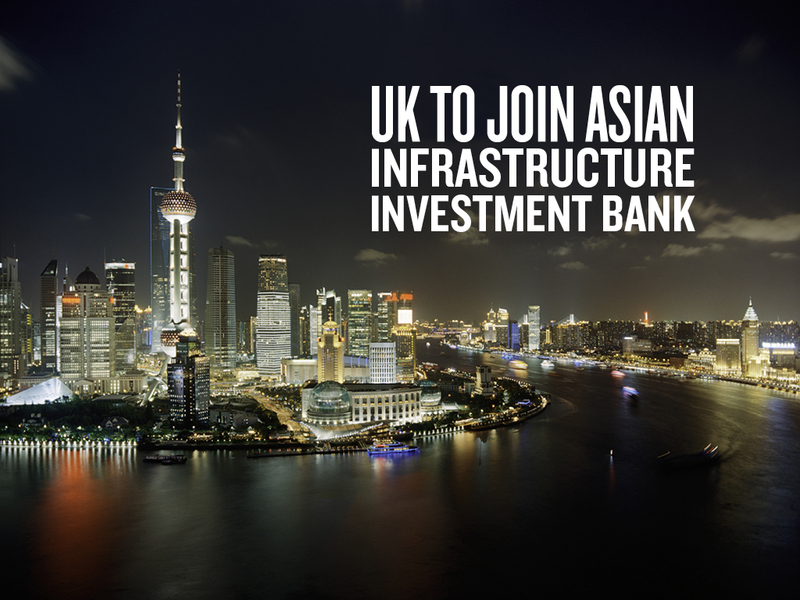 According to a statement made by the UK’s Treasury, the AIIB will promote investment for infrastructure construction in sectors such as telecommunications, energy, transportation, urban development and agriculture. “This government has actively promoted closer political and economic engagement with the Asia-Pacific region and forging links between the UK and Asian economies to give our companies the best opportunity to work and invest in the world’s fastest growing markets is a key part of our long term economic plan. Joining the AIIB at the founding stage will create an unrivalled opportunity for the UK and Asia to invest and grow together,” Chancellor of the Exchequer, George Osborne, said in the statement. The Chinese Finance Ministry said on March 12 that it welcomed the decision and would discuss the British application with the other states expected to join the AIIB. “I think it is very smart for UK to get involved in AIIB. It is probably more symbolic than substance, [but] having a major western power’s support is a big coup for Chinese. Even with just a token injection of funds will win brownie points,” Dr Chiang Jeongwen, Professor at China Europe International Business School told European CEO. Currently, prospective members include India, Indonesia, Uzbekistan, Sri Lanka, Pakistan, Bangladesh, Singapore, Thailand, Kazakhstan, Mongolia and the Philippines. New Zealand, Oman and Qatar are also seeking to join, and although the March deadline is fast approaching, there is still time for other unexpected members to express an interest. Since the project’s inception, the US government has openly spoken out against the formation of the $50bn bank, due to its concerns that the AIIB will not meet the governance and social standards of other development institutions that are already operating in the region. Although, there are now greater expectations for compliance as a result of the UK becoming a founding member, “By getting in early, the UK has a chance to influence the way the bank is run,” Mark Williams, chief Asia economist at Capital Economics told Bloomberg. Last year Australia participated in extensive negotiations as it sought membership. But just days before the signing ceremony was due to take place, Prime Minister Tony Abbott backed out as a result of lobbying by the US administration. Qualms regarding governance and the level of transparency were given as the reason for Australia’s withdrawal. Some experts believe that the US is more concerned over a lack of authority within the AIIB, which would be a far cry from its level of clout and manoeuvrability in other multilateral institutions. On the other hand, Chinese authorities have become increasingly frustrated with their lack of sway in the World Bank and the IMF, and so welcome the presence of a regional development bank that is not under the influence of the US.